Trading success does not come from taking shortcuts. Rui’s trading testimonial tells us that it is a personal journey of self-discovery and change while going through ups and downs. But hard work and dedication begets success. Here we wish Rui all the best. 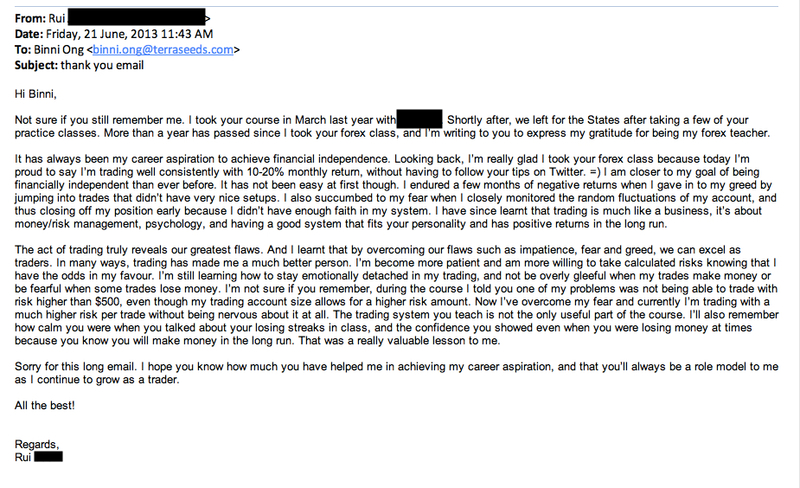 And to Rui: when you come back from the US, please come and share with your fellow traders the secret to your success! Inspirational!! I am personally trying to find the right time frame in the day to trade. Thanks for sharing her story. Please this too. How trading can be a great business?